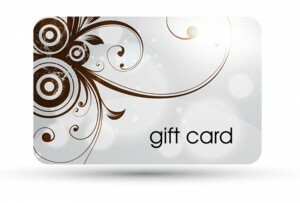 At Pollock Insurance, Inc., we respect the privacy of our customers and our web site visitors. This policy statement is intended to inform you about our policies with respect to the collection of information from you and how it is used at Pollock Insurance, Inc.. The information you provide us is primarily used to enhance your relationship with us and to better serve the collective needs of our visitors and customers. We also recognize that this information belongs to you and that we must treat it accordingly. This policy applies to https://pollockinsurance.com and all other sites on the World Wide Web owned and operated by Pollock Insurance, Inc. Personal information that can identify a visitor, such as name, address or information about your home, is collected only when voluntarily offered and solely for purposes that are clearly identified on our site. Personal information acquired through registration or requests for quotes is kept confidential, but we may share the personal information you provide us with third parties, as permitted by law, in connection with applications, claims, or other routine transactions relating to your insurance with Pollock Insurance, Inc..
At Pollock Insurance, Inc., we collect two kinds of information about our on-line visitors: personal and non-personal. Visitors are not required to register to access the public pages of Pollock Insurance, Inc.’s sites; however, non-personal information is collected to track the total number of guests visiting Pollock Insurance, Inc. sites and the portions of the site most commonly visited. This information helps guide our efforts to improve our site. The non-personal visitor information we monitor includes the browser type and operating system being used; areas of our sites visited; date and time of access; host or service-provider information, and identification of the referring site. This information is used for our internal purposes and is not disclosed to any non-affiliated third parties. When you request a quote or apply for a policy, Pollock Insurance, Inc. may also collect personal information from sources other than you or someone else named in your application. 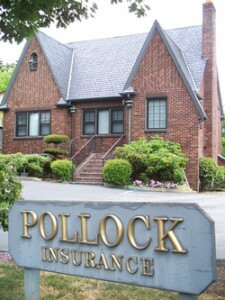 We may disclose this information, or information that we collect later in connection with your Pollock Insurance, Inc. insurance policy, to third parties without your authorization in certain circumstances, as permitted by law. You have a right to request access to the information in our files, and a right to request that we correct, amend, or delete personal information in our records. Further details of Pollock Insurance, Inc.’s information practices are available as part of the quote or application process. The importance of security for all personally identifiable information associated with our guests is of utmost concern to us. Unfortunately, no data transmission over the Internet can be guaranteed to be 100% secure. As a result, while we strive to protect your personal information, Pollock Insurance, Inc. cannot ensure or warrant the security of any information you transmit to us or from our online applications, products or services, and you do so at your own risk. Once we receive your transmission, we make our best effort to ensure its security on our internal systems. As we continue to develop our business, we might sell or buy stores or assets. In such transactions, customer information generally is one of the transferred business assets. Also, in the unlikely event that Pollock Insurance, Inc., or substantially all of its assets are acquired, customer information will of course be one of the transferred assets. Pollock Insurance, Inc. encourages parents and guardians to spend time online with their children. No information should be submitted to Pollock Insurance, Inc. by guests under 18 (eighteen) years of age without the consent of their parent or guardian. Whenever possible, Pollock Insurance, Inc. will not collect online contact information or personally identifiable offline contact information of individuals under 18 (eighteen) years of age without prior parental consent. Pollock Insurance, Inc. will not give the ability to publicly post or otherwise distribute personally identifiable contact information of individuals under 18 (eighteen) years of age without prior parental consent.